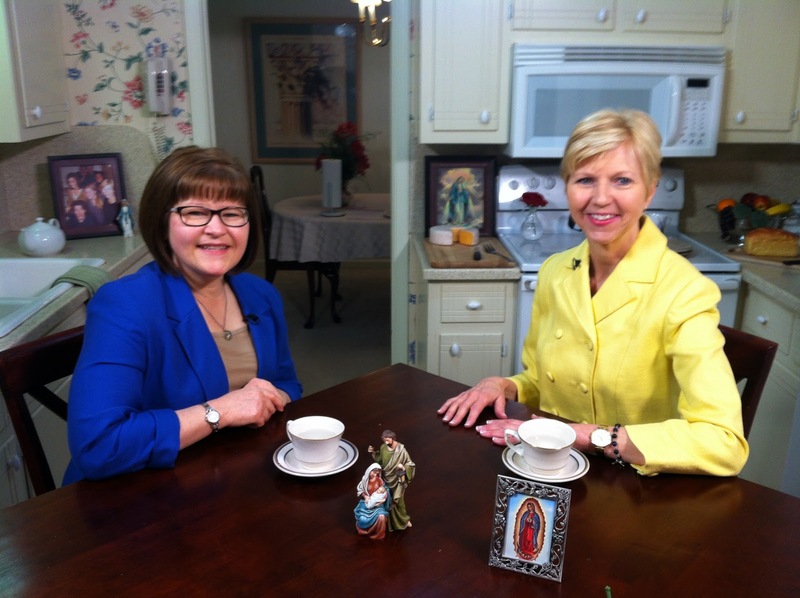 Home Blog EWTN Premiere – Catholic Mom’s Cafe – You CAN”T miss this! 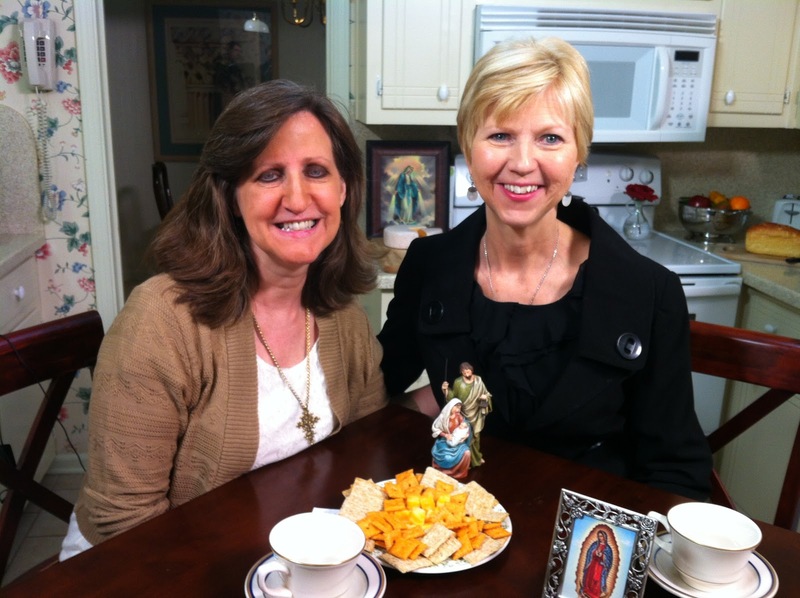 EWTN Premiere – Catholic Mom’s Cafe – You CAN”T miss this! 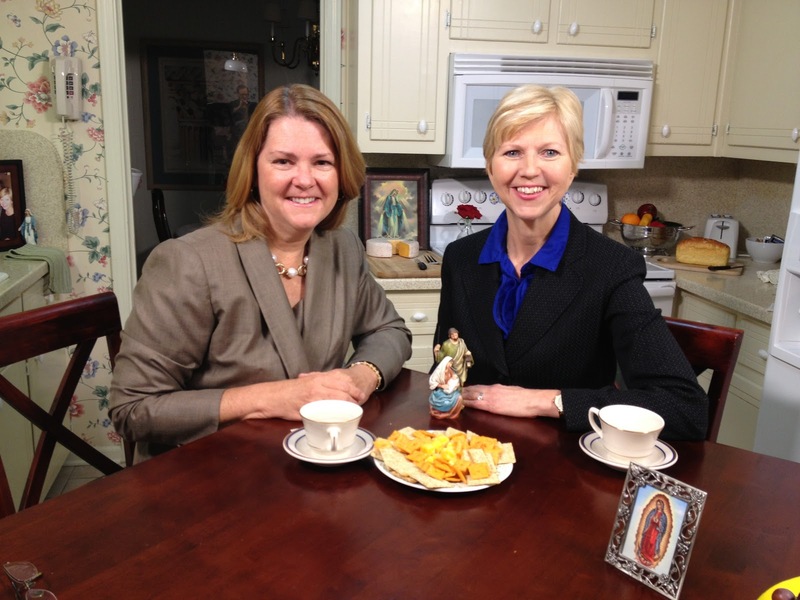 I’m ecstatic to finally break the news about the premiere of EWTN’s new show, Catholic Mom’s Cafe, hosted by my friend and colleague, Donna Maria Cooper O’Boyle. 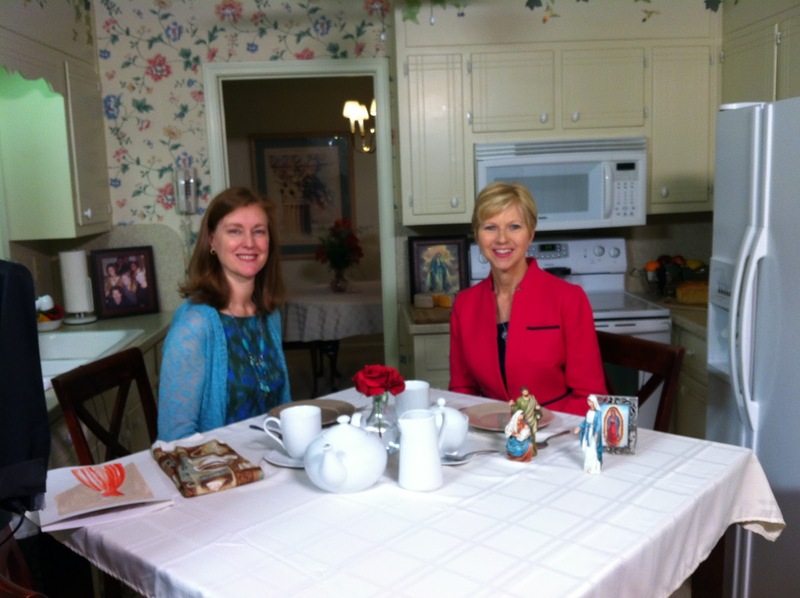 Catholic Mom’s Cafe will run November 3-7, 2014 and features a fantastic lineup of topics and guests, and I’m honored to be numbered among them. In Donna’ own words, Catholic Mom’s Cafe, “dishes up bighearted helpings of inspiration, encouragement, and Church teaching as it delves into the challenges and joys amid the miraculous yet crazy vocation of motherhood.” Dads, I have no doubt you’ll want to watch, too, so that you can fully support you wives in their role as Catholic moms! THE SKINNY ON CATHOLIC FASHION, featuring Catholic author, speaker, and catechist, Lisa Mladinich. KIDS AND CULTURE, featuring…yours truly, Marge Fenelon, Catholic author, columnist and speaker. GOING IT ALONE, featuring author and editor, Woodeene Koenig-Bricker. DIGNITY THROUGH CONTRADICTIONS, featuring writer, webmaster, and podcaster, Lisa Hendey (of CatholicMom.com fame). DEALING WITH LOSS THROUGH MISCARRIAGE, featuring writer and consumer of coffee (in her own words), Karen Edmisten. 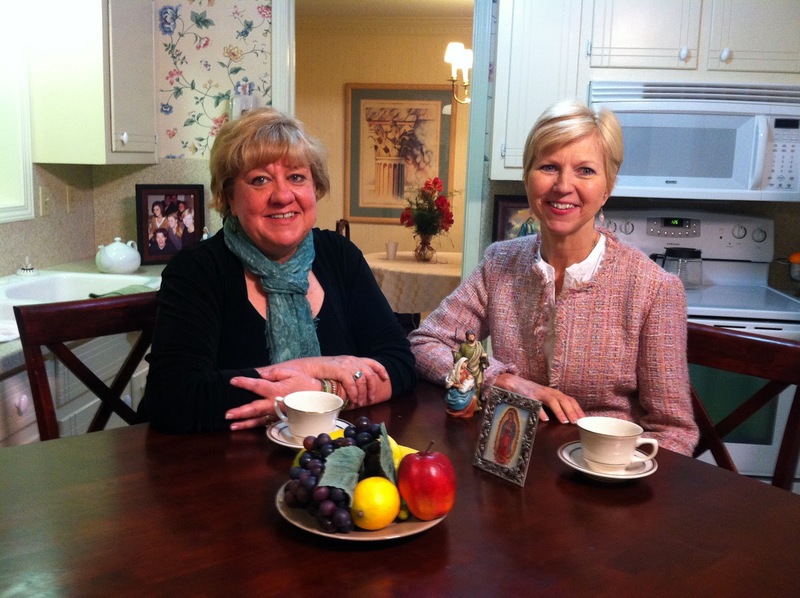 When the six of us gathered at the EWTN studios last year, we all became, not only fast-friends, but firm believers in the potential for Catholic Mom’s Cafe. Donna Marie’s experience and professionalism makes the show aesthetically excellent, and the need to support Catholic motherhood in this age makes the show essential. You’ll be wowed at the amount of wisdom and love that has been packed into the first five episode of the show! So, really folks, you can’t miss Catholic Mom’s Cafe. Please tell others about it, because they can’t miss it, either! Sandy Hook Advisory Commission wants to pin the shooting on home schooling. How ridiculous.